With Sketch Runner, just go to the install command and search for Auto Layout. Runner allows you to manage plugins and do much more to speed up your workflow in Sketch. Download Runner here. In the 'Catalog' tab of the Sketch Plugin Manager window, click in the 'Search' field and type 'Auto Layout', to filter the list. You will see the 'Auto Layout' plugin listed at the top of the list. Click the 'Instal' button inside it. When selecting a pin, Auto-Layout will set the pin constant value as the current pixel value. For example if a layer is 20px from the right and you select Pin to Right, the right pin constant value will be set to 20px. Once a pin is set, Auto-Layout will enforce the pin value when the artboard is resized. For example if you pinned a layer to the right by 20px, you can resize the artboard by dragging its right side and you'll notice the layer always stays 20px from the right. You can pin a layer either by pixels or by percent. Pixels values are in the left text boxes, Percent values are in the right text boxes. Use the Toggle button to select which type of pinning. You can set a Layer width and height by checking the width and height checkboxes. When you check the width or height box, Auto-Layout will set the current value as the constraint value. The taken value will be either by pixels or by percent, depending on the current toggle state. Once set, the layer width or height will never exceed the min/max values, no matter what the Artboard size is. To keep the layer pinned to the left rather from the right, set the width to % and uncheck Right pin. Auto-Layout will automatically recognize artboards that do not have default screen sizes and will never decrease their height to less than their original height. A Stack is a special type of Group that defines the layout of its child Layers. A Stack Group icon has a special Blue color and an indicator of its Direction. To Stack layers or groups, select them and click the Stack button in Auto-Layout panel. Direction: Defines if stacking of child Layers is Horizontal or Vertical. Spacing: Defines the spacing between each child Layer. Defines if stacking of child Layers is Horizontal or Vertical. Defines the spacing between each child Layer. You can toggle all artboards by clicking the Orientation toggle button. 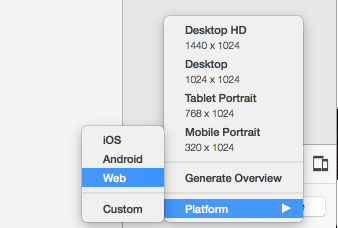 Presets are pre-defined Artboard sizes of real world screen sizes devices. 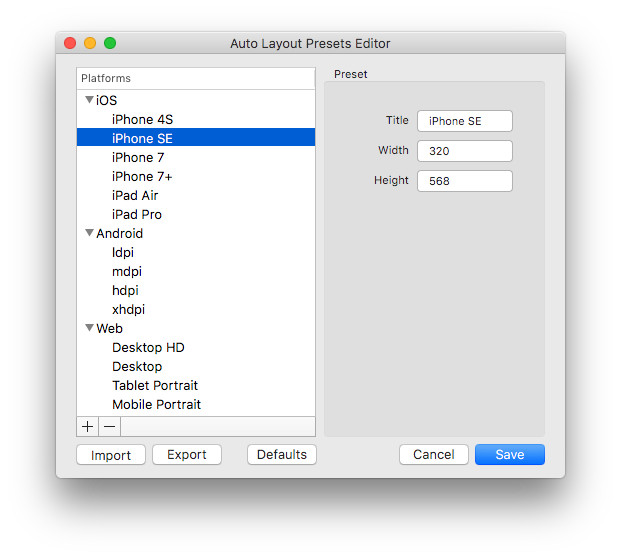 Once you've defined Auto-Layout on your design, you can easily change Artboard sizes to these presets. The Plugin comes with a default collection of presets mentioned above. However you can easily add, edit, import and export your own presets. So you’ve made the effort to create a perfect collection of presets and now your colleagues are jealous. Lucky enough you can become the hero of the day by just exporting your collection and sharing it with them. AnimaApp published this plugin 2y ago.